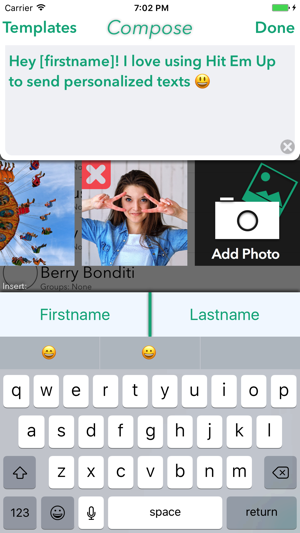 See what you've been missing out on with Hit Em Up: the quickest way to send SMS and iMessage messages to your contacts as one to one personal messages in bulk! Saving you HOURS of time texting— turned into just a few minutes. 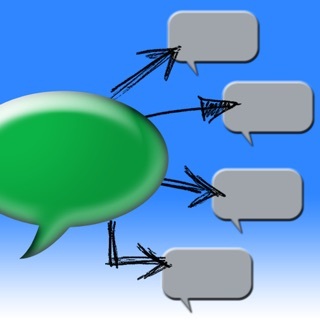 Are you dissatisfied with how often and effectively you communicate with your clients, customers, team, prospective sales leads, or other key people in your network? Do you worry that sometimes important connections fall through the cracks? It's probably no surprise to you that the most successful people in the world including the best life coaches, top grossing personal trainers, pastors with growing congregations, top revenue generating sales team members, savvy entrepreneurs, and, most notably, past presidents including George Bush and Bill Clinton all have one key trait in common: an impeccable ability to maintain personal relationships with hundreds (or possibly thousands) by giving them personal attention and care and is undoubtedly one of the key reasons they became so successful. Hit Em Up lets you..
• Send personalized and individualized texts to all your contacts one on one. To you, you manage your texts in groups, but your recipients see them as one on one messages that are personalized and meaningful to them. 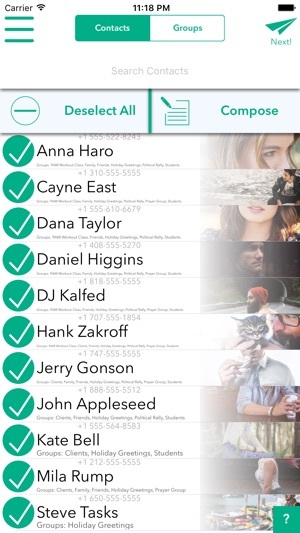 • Quickly Search multiple contacts at a time so that you send messages to just the right people— super quick. • Hit Em Up is perfect for the sales funnel, promoting your event if you're a promoter, inviting people to your wedding, or getting your friends together for a night of fun and keeping your personal relationships alive. What are you waiting for? 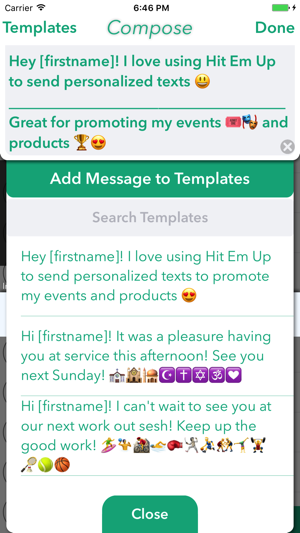 Do the #1 thing which makes people successful and start fostering personal relationships with the people who matter most by sending personalized texts with Hit Em Up — in just a few taps! We would like to give you Seven Days Free of Hit Em Up Today with a complimentary trial. This is a limited time offer that we are making available EXCLUSIVELY to our early adopters (you)! We're constantly improving our app and take your feedback seriously. Let us know if you want new features or find anything you would like changed or improved in Hit Em Up. Added love, blood, sweat, and tears. And some more elbow grease. I think there is promise with this app. It worked. It was just difficult to manage and I felt like I was working with 10-year-old software. This app gets higher marks since Zake contacted me so quickly. Unfortunately, although I'd tried out sending texts to a small group--and it did well--the scale up did not perform well for me. I did make separate groups in my contacts by labeling the company field and using that to make my 50-person group text. I still must now delete. More than 400 entries from my personal contact list--unless there is a simpler way? Zake--are you saying that if I used the personalized option, I could have distributed them in one go? I went through an experience where I was having to send 30+ people updates by text 2-3 times a day. It was exhausting to copy and paste my message into each individual chat every time. I wished that someone had invented a way to send texts like you send emails - to a group, but not in a group chat. Suddenly I had the idea, “Maybe there’s an app for this.” I typed it in on the App Store and tried and deleted a few terrible duds before I came across this app. Hit Em Up is exactly what I was looking for! Now when I need to send my 30+ contacts an update, I simply go to this app, paste the message ONCE (not 30 times! ), and hit “send” to each person. Everyone gets their own individual message, and you can even personalize it with their name. The text sends just like a normal text message, with no “footer” or advertisement for this app attached. Today someone wrote back to me, “How do u send out group texts but it seems as if they are individual texts. 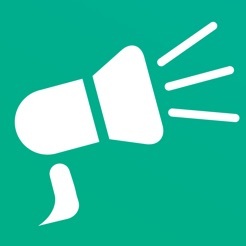 Is there a "Bcc" version of text messaging?” I was proud to share them a link to this app! They wrote back, “That’s pretty neat. Brava!” Yep, I’d have to agree! 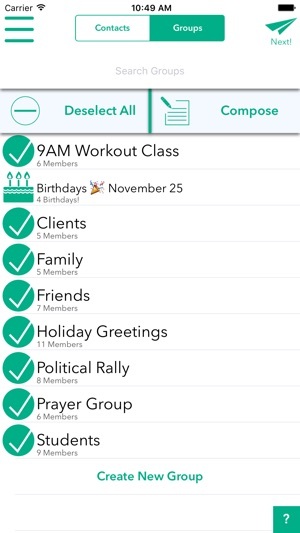 This app has given me zero problems m. Previously i used an app group text app, which strung together all 72 of my contact list and sent my morning message out all at once. The problem with this although in theory it was simplistic and amazing and no heavy lifting is that the new i0s shortly after iPhone X or right before iPhone X started causing problems with group text, and not everyone in the list of 72 received the messages. You have no way of knowing until someone ask you why they have not received it. With this app, i have to individually press send on each contact which is annoying and if i ever surpassed 100 i will need a more efficient solution or hope that iOS has their crap together so i can go back to sending just one string of all contacts. But the other positive with individually sending the text is that i know everyone received and if For some reason there is an error you will be able to see on that persons text thread that they didn’t receive it. I have had 0 percent Failures since using this app.